Bell County was formed in 1867 from parts of Knox and Harlan Counties and was annexed from Knox County in 1872. It was named after Joshua Fry Bell ("Josh Bell"). The Wilderness Road was built through Bell County during the 1790s.There were court house fires in 1914 and again in 1918 and a flood in 1976 during which occurrences the records were destroyed. The records listed below are those which survived. Adair County was formed on December 11, 1801 from sections of Green County at which time Columbia was chosen as the county seat. The county was named for John Adair, commander of the Kentucky troops in the Battle of New Orleans and Governor of Kentucky. 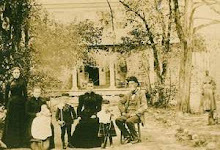 The Adair family traces to ca 1300 and is found on Georgia Pioneers John Adair had a cousin relationship to the Adairs who settled in Atlanta and were entrepreneurs of real estate.